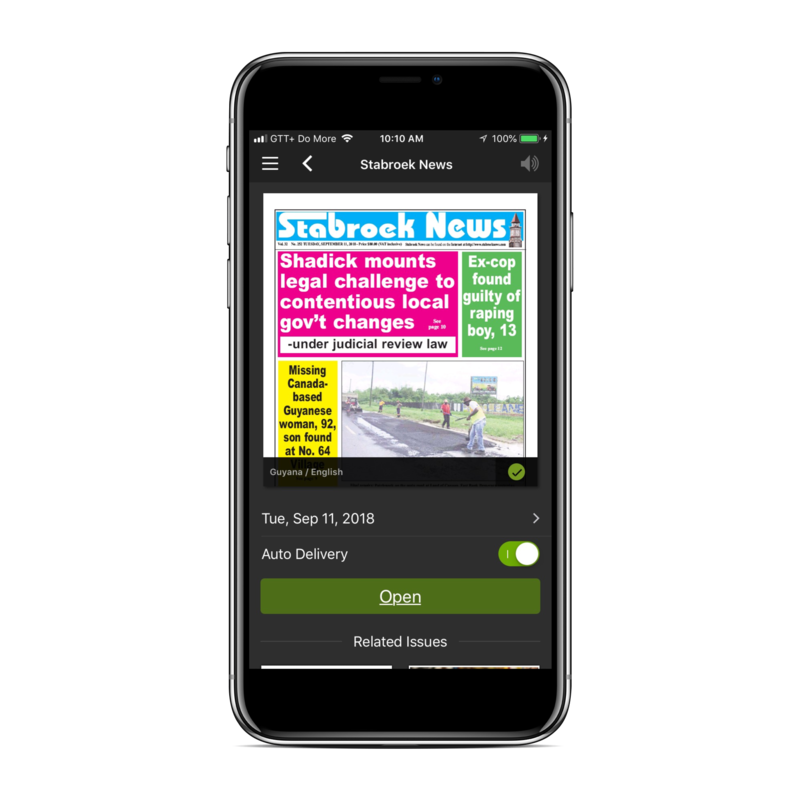 The Stabroek News mobile app is currently available for Apple iPhone and iPad devices in the App Store and for Android devices in the Google Play store. 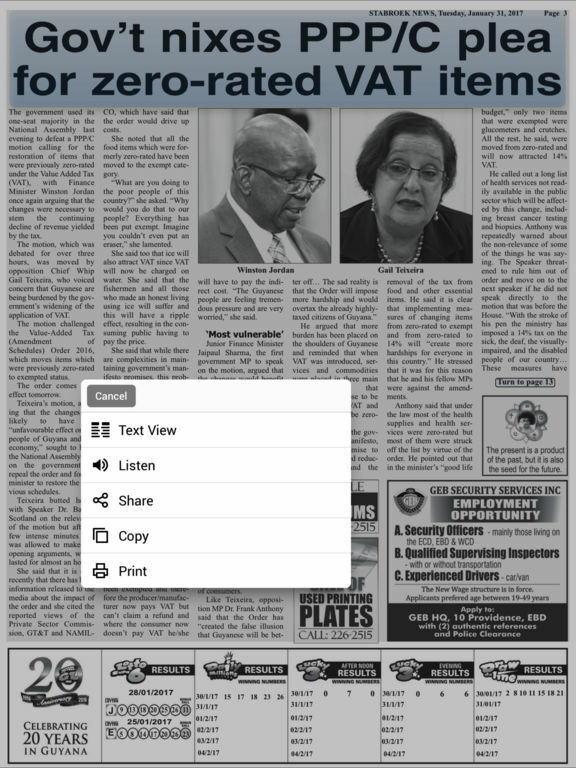 The app is a full replica edition of the printed newspaper with features customizable to fit your needs. 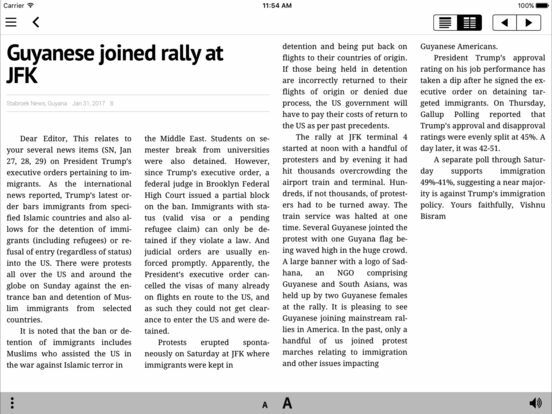 With the app, download and access the paper when you are offline. It’s easy to save the information you want for later. 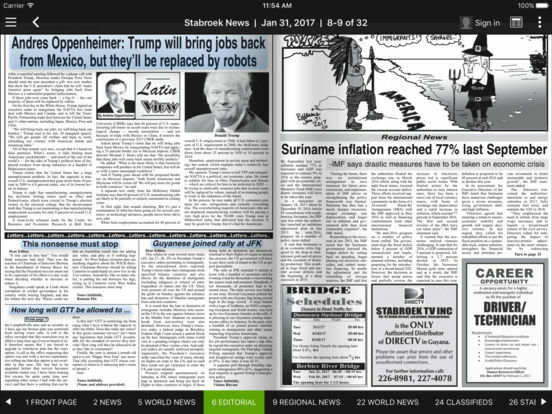 You can flip through pages and skim headlines as you would the printed edition. The Stabroek News ePaper Edition allows you to enlarge type with the tap of a finger, or jump instantly to the conclusion of a story on another page. 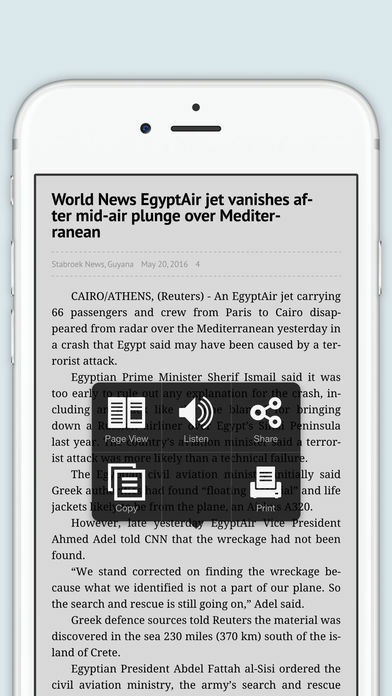 You can even sit back and have your articles read aloud with text to speech. 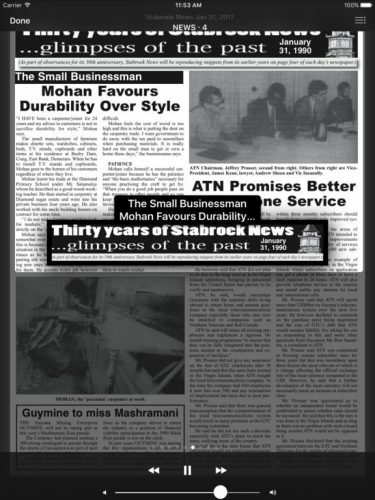 And, if you missed the paper one day, don’t worry. 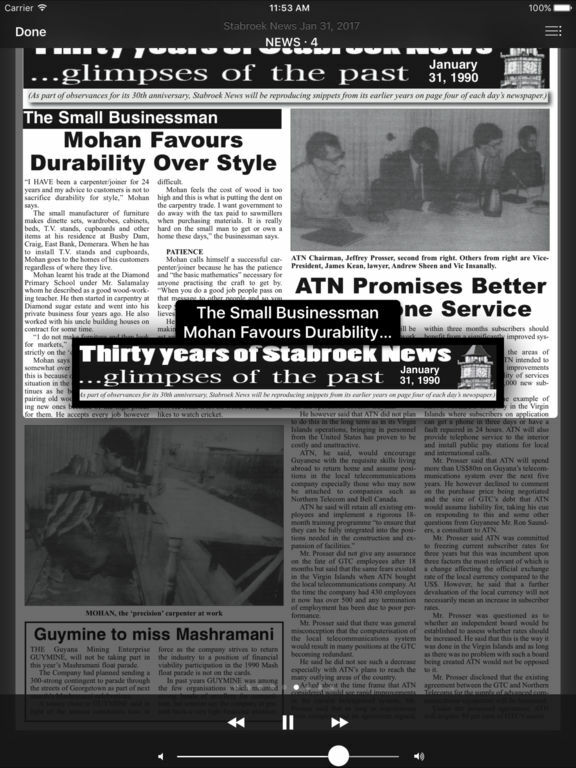 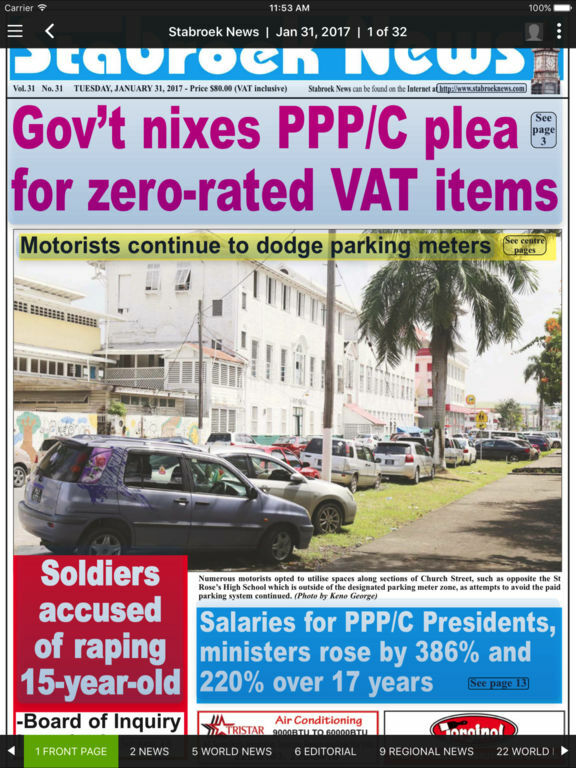 The Stabroek News ePaper Edition lets you download past e-Editions, too. 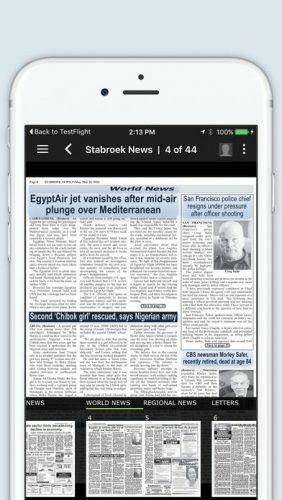 While the Apps and first issues are free to download, an in-app authorization will be required on your device to receive further issues of the paper. You will be able to use your existing stabroeknews.com username and password to authorize your device. Stay connected with news that is informing, engaging and essential with The Stabroek News app!